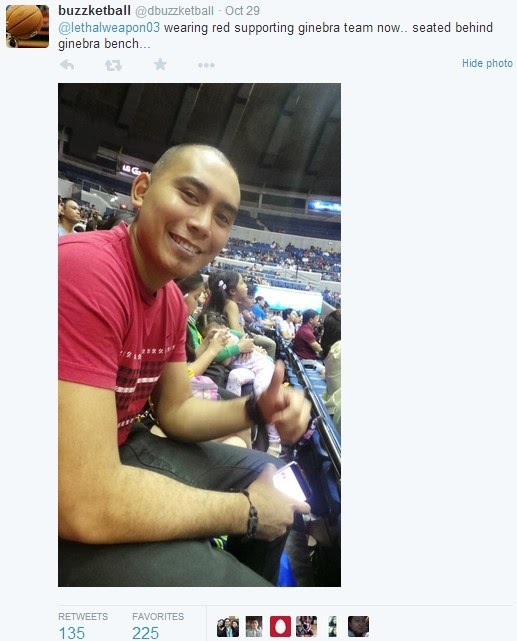 Tweet Scoop: Paul Lee of the Rain or Shine Elasto Painters was spotted enjoying a basketball game. No. It's not a Rain or Shine game. It was a game between the crowd favorite Barangay Ginebra San Miguel and PBA newcomer NLEX. The smiling Gilas guard was seated behind the Ginebra bench showing support by wearing a red shirt. Check out the picture below that paints a thousand words.